This is the high-intensity flashlight that captures a video of wherever you shine it and streams it to your smartphone. 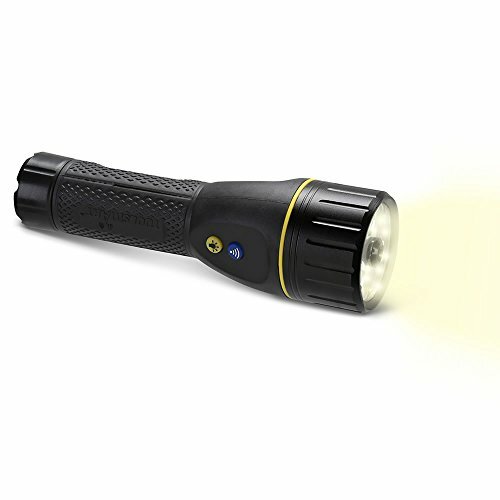 Preferred by building inspectors, the flashlight illuminates areas you can't easily access, such as crawl spaces and behind refrigerators, while its built-in camera captures 30 fps video at 1280 x 720 resolution. Using a free app, the flashlight generates a Wi-Fi connection to your smartphone, allowing you to view live HD video and save time-stamped footage and photos for documenting an insurance claim or home inspection. Its three two-watt LEDs output 600, 300, or 150 lumens of bright white light, a strobe meant to disorient intruders, and an S.O.S. signal. The rugged rubberized body is IP54 rating for dust- and splash-resistance.